In case you’re looking for non-political news, we have some big beer news for you: U.S. craft breweries have officially shattered another milestone. As of the end of October 2018, the number of active breweries in the U.S. officially surpassed 7,000. That stat is according to the Brewers Association (BA), publishers of CraftBeer.com. BA Chief Economist Bart Watson shares with us there were 7,082 active breweries in the U.S. as of Oct. 31. That’s 1,100 more breweries than at the same time in 2017. That’s right: more than 7,000 breweries — and most of them small and independent — exist right now in the U.S. It’s hard to believe it was only about three years ago — 2015 — when the number of breweries first surpassed an all-time high. And Bart says more are on the way. There are 2,000-plus craft breweries at the “in-planning” status, according to the BA. Cheers to choice, American small business success stories and more flavor — three things we love about craft beer. 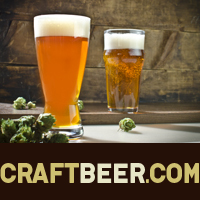 If the news has you wanting to head to a brewery to celebrate, check out the CraftBeer.com Brewery Finder to locate the one closest to you. The post U.S. Breweries Hit New Milestone appeared first on CraftBeer.com.